discounts are available for AAA members and military. coupons are available at area hotels. i remember the day elvis died. i was 17 and was at my girlfriend's house. her mother was crying and hysterical. i couldn't imagine what was going on and i remember asking sharon why her mother was crying. was she sick? has someone died? she responded, "yes, elvis died." i didn't see her mother the rest of my visit. she locked herself inside her bedroom and spend the entire day in mourning. one of very many days she and the rock-n-roll nation would mourn. on a trek to arkansas, len and i stopped at graceland, the home of elvis presley for twenty years. i remembered sharon's mother and thought we should go - if not for us, maybe for her. it had not been on my list of famous places to visit, but since we were in the neighborhood, it would be a shame to by-pass this piece of american history. we opted for the platinum tour (with a $4 discount from an area hotel) that would include a tour of his mansion, his two custom airplanes, his auto museum as well as other self-guided walk-through tours around the grounds. we were there for about three hours. the crowd was slim on this day, but i'm sure around his birth-or-death date, the crowds are immeasurable. it was obvious as we entered the home, that he was even more flashy and ostentatious than his white jumpsuits portrayed him to be. stained glass, mirrors, gaudy white monkey statues and portraits of the king were in every open spot available. then you walked into the kitchen, which was surprising, because it could have been my kitchen. very middle-class, brown wood and that chalky-beige refrigerator that stood in many 70s homes. on the lower level, the jungle room proved he was eccentric. waterfall, tree-furniture, all enveloped in green shag carpeting. even the passageway wall leading down to the bizarre jungle were covered in green shag. then to a building outside the main house. the gold records, the memorabilia, the white suits, the cars, all told the tale of a very successful man who loved what success had provided. the final stop on the mansion tour took you to the meditation garden, the resting place of elvis and his family. even a memorial to his still-born twin brother. there were mementos from visitors. one note from a japan fan was positioned at the foot of his grave. across the street from the mansion are the touring areas to see his collection of cars, other self-guided informational tours as well as the two jets in his collection. his "taking care of business" mantra-log can be seen on the tail of the lisa marie as well as the merchandise in the endless gift shops you will find yourself in. 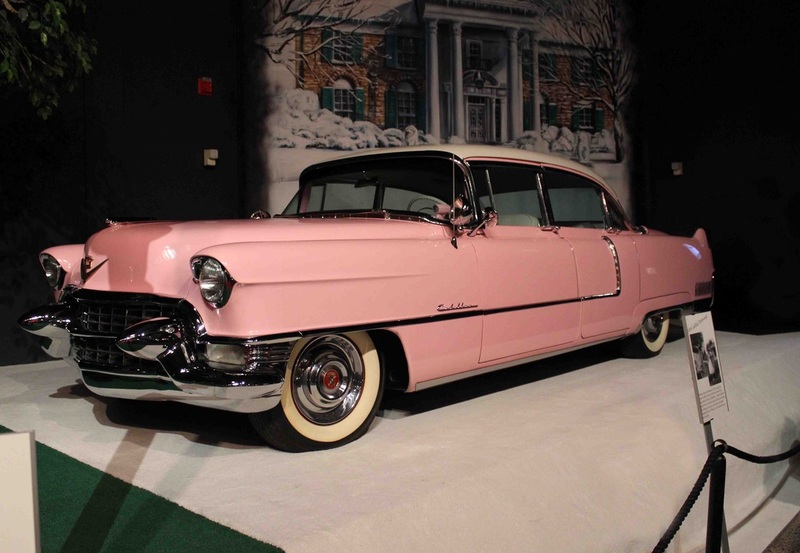 don't miss the cars - and the famous pink cadillac. there are restaurants for dining - very pricey - even rockabilly's offering elvis' favorite peanut butter and banana sandwich. we opted for the cheeseburgers and experienced a tasteless burger; however, the fries were hot and redeemed the burger moment. it is worth the stop. for my generation, it helps to connect the dots. for the young ones who only know elvis by the tunes on itunes, it will put a personality to a song.